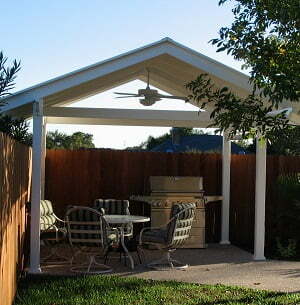 A CABANA is a small hut with a thatched roof. 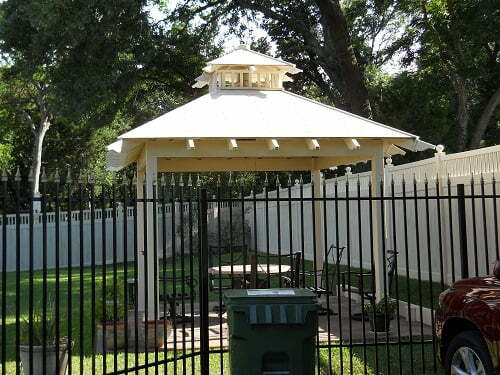 We’ve forgone the thatched roof and replaced it with an aluminum, vinyl or shingled roof. 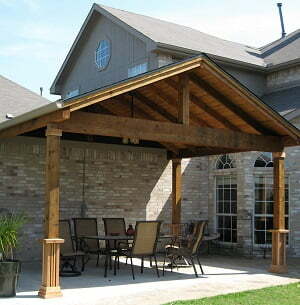 This assures that the roof lines are more in line with a typical home’s roof lines. 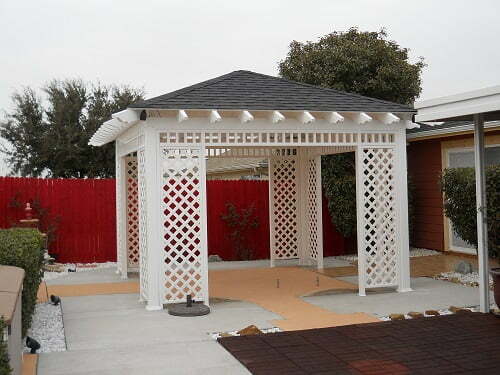 We also provide several options for the walls of the cabana. 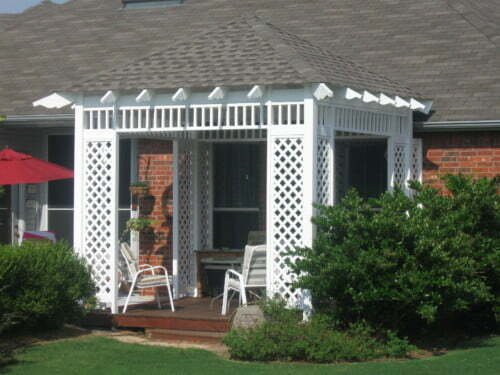 Vinyl trellis or lattice walls provide a semi-private look with optimal air flow. These walls give the cabana a real “beach-y” look, but don’t protect the contents of the cabana if there’s a driving rain. 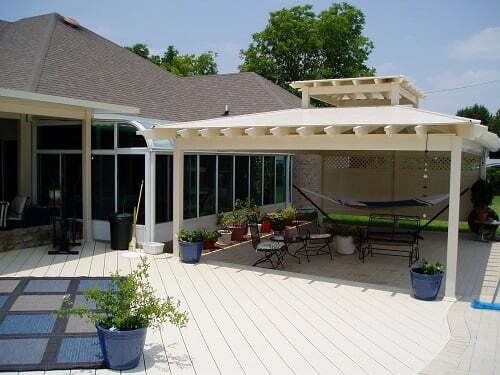 If you want a little more privacy and a lot more “dry”, but don’t want to sacrifice all the air flow, vinyl louvered walls will still allow a considerable amount of air flow, but afford the occupant relatively full privacy. 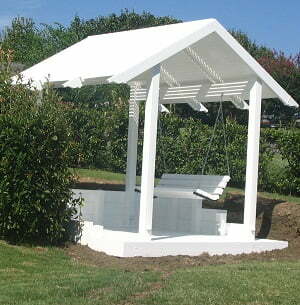 Finally, for those who want absolute privacy while in their cabana, we offer solid vinyl walls. 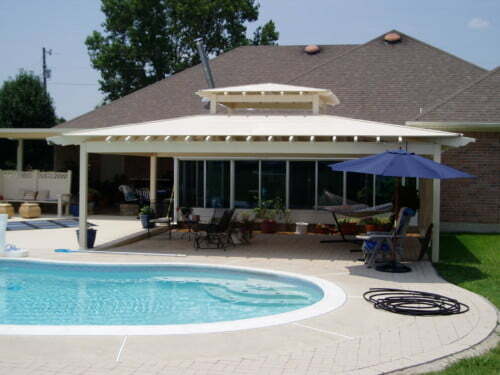 Solid vinyl walls block air flow, but they also keep dirt and bugs out and activities of the occupants in! 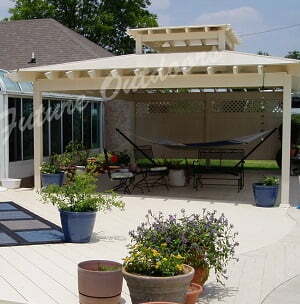 Future Outdoors has installed cabanas of all shapes, sizes and designs all over north Texas and the surrounding areas. 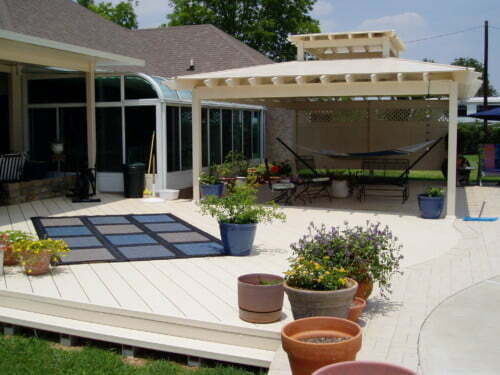 Our installers are specially trained to provide the highest level of expert installation available in the industry today. We pride ourselves in training our crews with the most up-to-date, cutting edge installation techniques to ensure customer satisfaction and longevity of product. 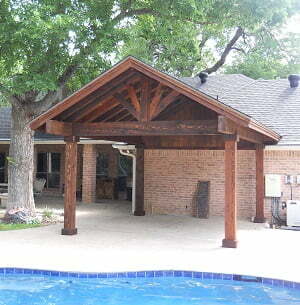 That’s why we stand behind the installation and craftsmanship of every cabana we sell. Contact us today to set up a no-obligation consultation with one of our product specialists. 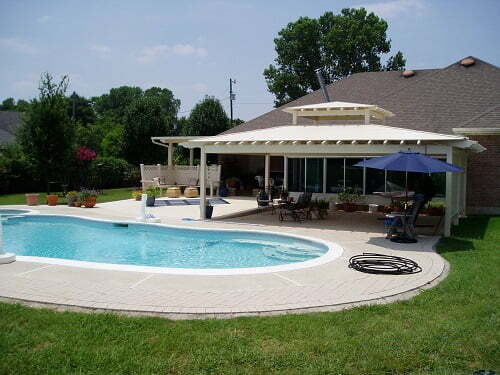 We will come to your home or location where you wish to have the cabana installed and conduct a site analysis, explaining your options and the products and designs we feel will work best with your existing structure and landscape.